internet | Next goal wins laaaaaaads! Why do the radio stations in America always have weird names? Well, it seems that all broadcast call signs in the United States begin with either “K” or “W”. The “K” usually west of the Mississippi River and “W” usually east of it, which of course makes perfect sense. Also the W and K rule is not always followed geographically, which adds to the confusion. The only thing that you can guarantee is that any radio station with a call sign beginning in a K or W is from the USA. I am even boring myself now! Back to Radio KEXP and the joy of the internet. It is great to be able to listen to any radio station you want – it opens up so many new tunes at the click of a button. I really enjoyed the atmosphere in Seattle when I went there – it has a buzzing music scene and it has some great record stores. Hence I was drawn to Radio KEXP – They have a wonderful back catalogue of live sessions. Any radio station that asks The Hold Steady back to play again gets my respect. A while back I was musing about spending a fair amount of my youth in record shops in Bristol and visiting these places involved a 30 minute bus ride from home or a 5 minute walk from school at lunchtimes. The speed at which new music came to my attention was slow. You might hear a new track on the John Peel show on Radio 1 one evening, read the review in the NME within a week and keep on asking if the EP had arrived yet at Revolver Records on a daily basis for what seemed an age. Put it this way it represented an unacceptable download time. It could take weeks for the music to get to you, but although it was a slow process there was something satisfying about getting back on the bus with your latest find and reading the sleeve notes before getting the record home with a certain amount of anticipation and then spinning the record. It was just a pleasant experience to buy a record; the whole process was quite exciting in a way and far more tangible than the modern way of getting hold of new music. Now at home you can listen to radio stations around the world via media streaming, or use some clever sites like lastfm, spotify or Pandora as was and find music that you like instantly and zone in on a new tune, download the track and immediately store and catalogue it. However it is not really all that good in the hood. Here for example I liked this song a lot and told my mate Baz about it. In fact a lot of these live sessions for Radio KEXP were really good, it is good to see bands playing sessions like this but there is a catch. Yes, the problem was that this track was already on my ipod as I had ripped the whole album off Baz, but was totally oblivious to the fact. Indeed I have collected so much material on my ipod that it will literally take almost a week to listen to each track stored on that gizmo. I never knew that I had discovered a ‘new’ track that was already in my possession until Baz told me. Now how daft is that? We used to be able to search for images with laptops. You get blocked from doing so by the County server these days. If you read on you will see one reason why. I was teaching a year seven class about food chains using a food web that had a field of corn as the habitat for insects, field mice, various birds….. You catch the drift. 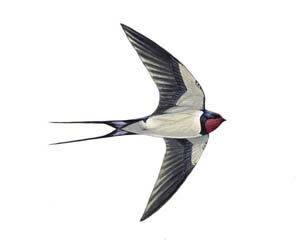 One the girls in the class genuinely did not know what a swallow was. I told her it was a bird that ate insects. She still had no idea. So in order to provide a remedy for her blank stare, I did a quick picture search on Google and beckoned her over to my desk. As she approached the first hit came for an image from howtomakeyourwifeswallow.com which was hastily minimised with a Homer Simpsonesque yelp! It was a close call and luckily I was not hooked up to the projector at the time!